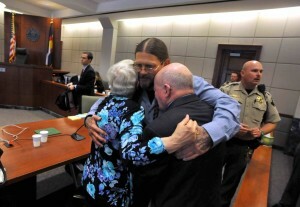 On this past Mother’s Day, the Innocence Project posted photos of exonerees hugging their mothers. It is indeed a heart wrenching scene, especially after all the years of suffering these innocent victims of the criminal justice system have endured. The Innocence Project is a non-for profit organization spearheaded by group of lawyers who are dedicated to prove the innocence of wrongfully convicted individuals through DNA testing. To date, the Innocence project has fought to exonerate 341 people by DNA testing. That includes 20 inmates who served time on death row. These newly freed prisoners had served an average of 14 hard years in prison for crimes for which they were not guilty or for which there was insufficient evidence, before exoneration and release. Sometimes, these we tend to treat these stories as statistics when in fact each case is a human who has suffered the unthinkable. How much time was lost away from their family and loved ones? Where would that person be professionally if they hadn’t lost all those years in jail? These are people, just like you and I. When you think about the human aspect of each case you will see just how important it is that we reform the criminal justice system. Very nice work by the Innocence Project.